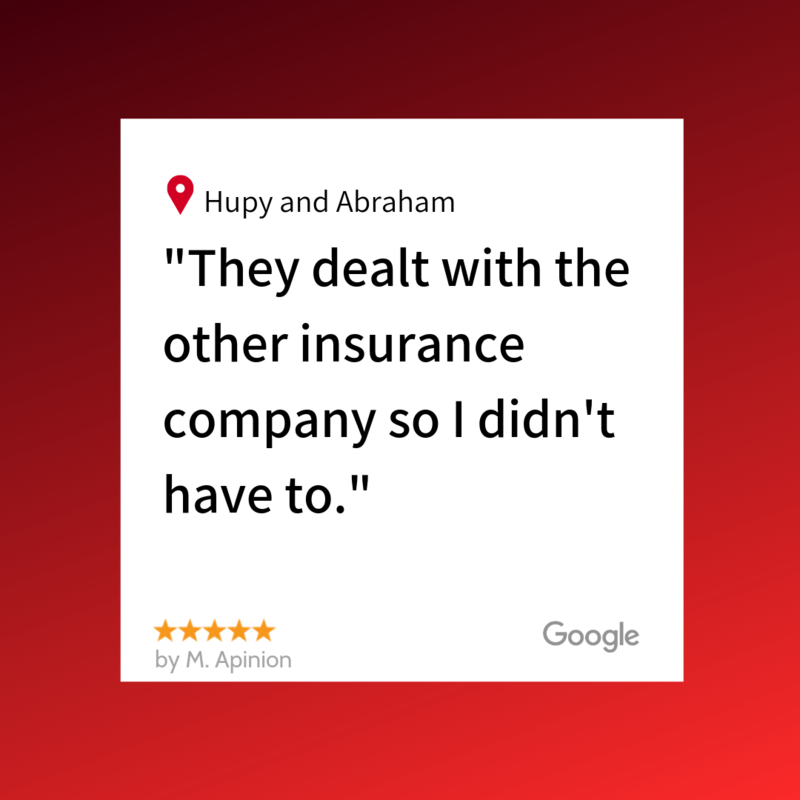 A 5 star Review from our Milwaukee, WI Client | Hupy and Abraham, S.C.
"In the end, they got me a fair settlement without having to go to court." They dealt with the other insurance company so I didn't have to. In the end, they got me a fair settlement without having to go to court. I would definitely recommend them to friends, family or anyone that needs a law firm to represent them after being in an accident. Thanks again Hupy and Abraham!